While browsing PropertyGuru, you can’t help but looking at your desired apartment on the ‘Sale’ section and adding that to your resolution list, to buy your apartment. Apart from setting your resolutions with the purchase of property, it is quite common that one of your 2019 new year resolution involves living a healthy lifestyle for yourself and to start off easier, your fridge is very important. 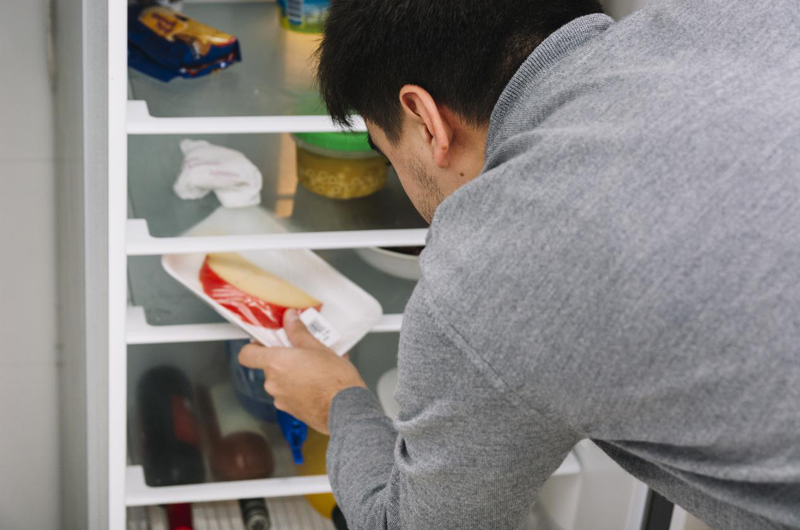 We are giving the tips of how to clean and organized your fridge to avoid. When you look for a snack, place your healthy snack on the eye level as it will be easy for selection. It is wise to plan ahead on your menu when you are not hungry. You will be thankful for the healthy snacks that are at the eye level when your hunger cravings kick in. You could also categorize your food in the sections of your fridge. For example, the upper tray of your fridge can store some condiments or herbs or maybe the bottom tray could store your meal preparation containers of the week. This will tidy up your items and food in your fridge in the proper order. Expiry dates of your food and items can be placed on the front line so you can be reminded that your chicken breast that you bought few days ago is still untouched or your butter is expiring in two months time. All you need is a weekly routine for some check up of your items in the fridge. After doing grocery from supermarket, it is advisable to immediately wash up and cut the fresh fruits and vegetables. Next, you leave them in sets of single portion-sized storage containers. This will make it easy to grab your five plus a day whether it is for a healthy weekday snack or to use in the cooking. Fill up your pitcher with plain water and throw in some cut cucumber, lemons, limes or berries into it and store them into your fridge - infused water. A life hack to encourage drinking water and double up your H2O consumption. If you always keep a jug of chilled, fruity water handy in the fridge, you can easily get your daily dose of flavourful H2O. You could also prepare few chilled plain water in the fridge by storing in a pitcher. It will be useful when the weather is hot or after workout. You will find your chilled water helps you to cool down your body from the heat. It is advisable to buy your warehouse-sized containers of yogurt. For instance, you can portion out some into bowls and cover with plastic wrap to have at your fingertips. You can also buy containers that have dividers in it. This can help you to divide your vegetables or poultry in the container if you are going to do meal preparation for the week. It is essential for those who are into healthy eating as you can easily prepare your meal on daily basis without the hassle of checking what is left in your fridge. In Asia, a clear plastic storage is called ‘tupperware’, every Asian’s mum favourite utensils. It is good kitchen utensils for every organizer’s best friend. They work well in your refrigerator. You can keep your items together especially the same category. This is especially true of condiments that can leak, this can cause mess all through the fridge. Besides, once having a proper system of organizing your items into the container, then place it where you are able to see it easily. This will help you to immediately see what do you have on hand and what do you need to replace especially if you are on a meal prep schedule. There is a specific section for condiments and sauces, it is by the fridge door. You can arrange your condiments and sauces towards the front door as they are easy access. Besides, you can also keep your sauce bottles by wiping the sauce bottles regularly at the first sight of the mess or an empty jar, clean it or bin it. Kalau kat rumah tu tak ramai orang, senang sikit nak pantau susun atur barang dalam peti ais. Tapi kalau ramai yg tinggal dalam rumah tu, harini kemas esok dah tunggang terbalik. I always use clean plastic containers to store my food. Easy to see the content and tidy in storage. Reusable also. Go green.